Girls will love transforming Cinderella's look from her everyday outfit to an elegant ball gown! 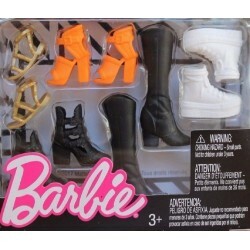 The Cinderella doll comes with 2 different outfits that girls can use to create fun fashion combinations. 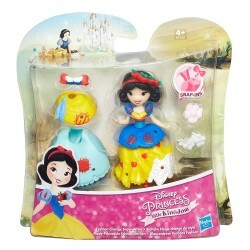 Little dreamers can keep the fun going by creating Cinderella's outfit and accessorizing her with the included Snap-ins. 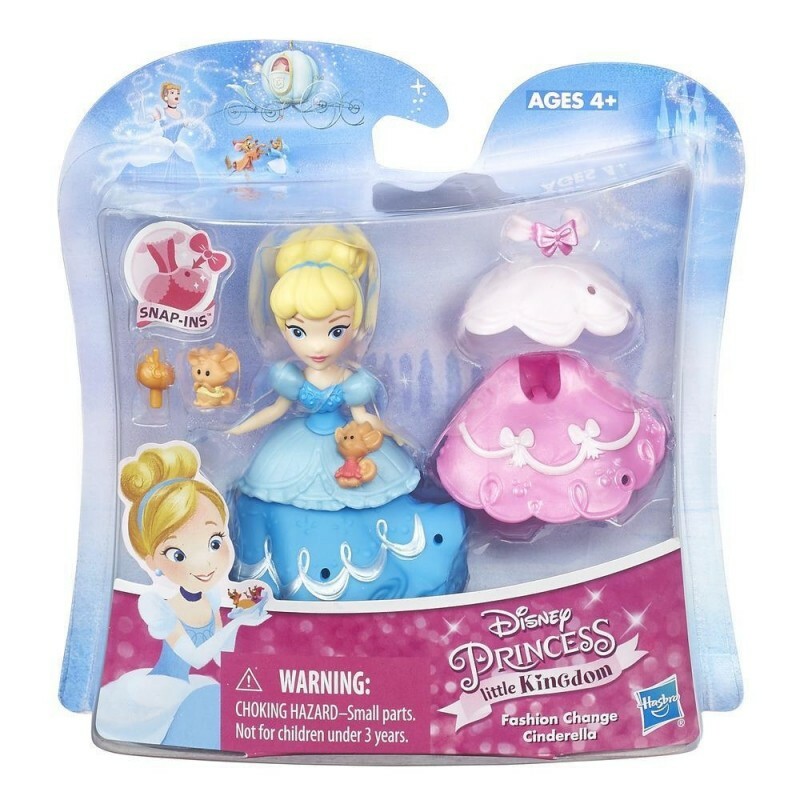 They can also decorate their Disney Princess with mix-and-match Snap-ins and outfits (additional Snap-ins and removable outfits are included with other Little Kingdom dolls, sold separately) and can build their own Little Kingdom! Includes doll, 2 bodices, 2 peplums, 2 skirts, and 3 Snap-ins.